Helping our member agencies and their clients to access and consume nutritious food is an important part of the Food Bank’s work. 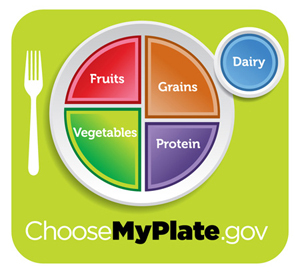 Ninety-five percent of all the food we distribute meets the MyPlate guidelines and current Dietary Guidelines for Americans. In addition, the Food Bank promotes and encourages healthy eating by disseminating nutrition information, educating our member agencies and their clients about nutrition, and providing tools to help food-insecure populations make and eat healthier foods.